Strawberry Blonde's Market Summary: Three Strikes and You're Out! 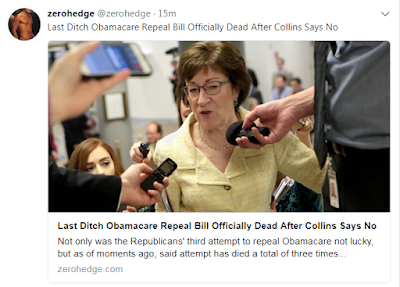 It looks like this third attempt by Republicans to repeal and replace Obamacare has failed...and that it will be a dead issue once September has 30th has passed. It's clear that GOP "never-Trumpers" will not allow the President to succeed in implementing his agenda during his four-year term. 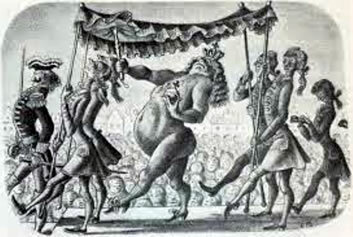 Americans who voted for them, expecting them to deliver on their campaign promises to do so, can now realize that the fairy tale, "The Emperor's New Clothes," does, in fact, apply to those Congressional Republicans who promised one thing, but will never deliver on those promises. So, if stock market participants were expecting healthcare reform, income tax reductions, tax reform, and infrastructure spending, be warned that those are, transparently, in jeopardy. 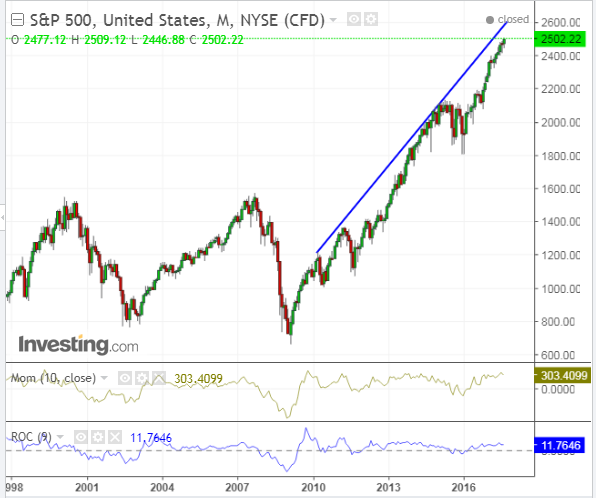 And, consequently, so is a continued rally in the SPX, as I had discussed in my last post.